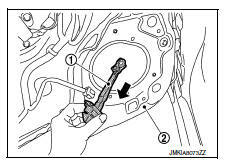 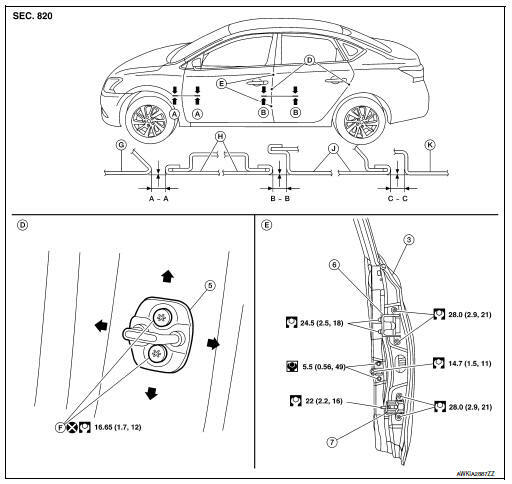 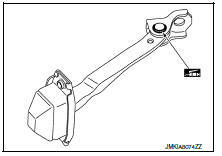 After installation, perform the rear door adjustment procedure. 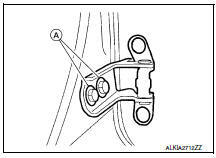 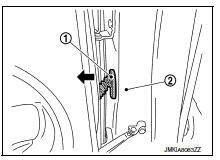 Refer to DLK-169, "DOOR ASSEMBLY : Adjustment". 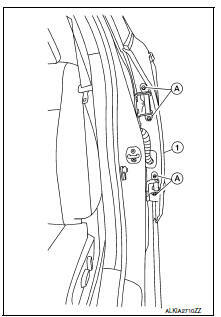 Remove rear door assembly. 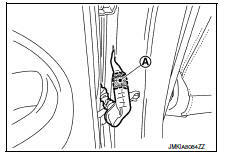 Refer to DLK-168, "DOOR ASSEMBLY : Removal and Installation".